Imperfect, missing, and damaged teeth can cause any number of issues, such as poor dental function, displeasing aesthetics, and low self-confidence. 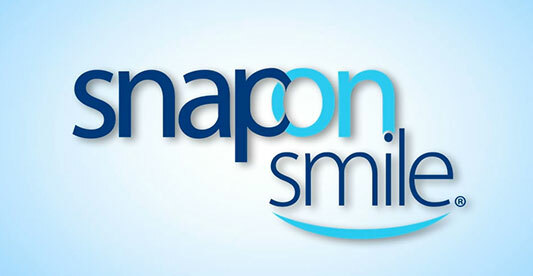 If you are looking for a quick and non-invasive treatment to restoring your appearance, a Snap-on Smile can provide you with the smile of your dreams without altering natural tooth structures. Made of natural-looking materials, this oral device will fit comfortably over your remaining teeth to conceal flaws. Dr. Abbey J. Lee at Smiles 4 Grant Park in Atlanta, GA will customize your Snap-on Smile in such a way to reveal realistic results. A Snap-on Smile is made of natural-looking, thin, yet durable composite resin that operates much like a retainer, comfortably fitting over your top or bottom teeth. Rather than clear aesthetics, this revolutionary dental appliance will be designed to blend with the natural shape, size, and color of your teeth. Although it can be easily removed for cleaning and when sleeping, it can be worn during meals, providing extreme comfort and durability. his affordable and life-changing cosmetic dentistry treatment can be comfortably completed in just two office visits without the need for anesthetics or tooth structural changes. During your initial consultation, Dr. Lee will perform a thorough evaluation of your teeth, gums, and jawbone and discuss the cosmetic goals you’d like to achieve with your customized Snap-on Smile. Once your exam has been completed and your treatment plan established, Dr. Lee will take impressions of your smile and help you select the appropriate shade and style for your oral appliance. She will use computer technology to reveal a digital model of what your smile will look like with Snap-on Smile to help set your expectations. She can also use this opportunity to make any necessary adjustments. If you are happy with the results, the impressions will be sent to the Snap-on Smile dental lab to create your customized device. In about three to four weeks, Dr. Lee will ensure your device fits comfortably and show you how to care for it to protect its longevity. At Smiles 4 Grant Park, you can look forward to receiving compassionate care and superior results. If you are interested in enhancing your smile with Snap-on Smiles, contact our dental practice online, or call 404.328.7177 to schedule your consultation with Dr. Lee.